Blockchain is a digital ledger that allows for complete transparency of transactions in a digital hub. This includes documentation of buying, selling, trading, transporting and producing. Anything that an individual or company would want to track as it moves through a life cycle is a prime candidate for a blockchain model. In a blockchain environment, information is passed from one point to another in a central system that is open to everyone, through a digital block. Many different transactions make up a chain of blocks as they pass from one to the next. The chain of blocks create a highly identifiable record that can be traced through each previous owner/participant. How does Blockchain apply to Supply Chain? End-to-end movement of goods through the supply chain works well when each party has a well-oiled process and centralized software system; however, mistakes can still occur and products can be misplaced. A centralized blockchain for all product SKUs could be a game changer for this transactional data. It would protect the integrity of the product as it moves through the supply chain, and enables security as well as visibility to all parties involved. Blockchain could also assist in quality control of products. For example, a food recall could be prevented if quality assurance checks were documented as products moved through the supply chain allowing for traceability of products and ingredients or components to their origin easily. There are benefits to products that are imported and exported internationally. Language barriers and inefficiencies would be eliminated by a universal blockchain system. Currently, major shippers are utilizing a form of blockchain to monitor large ocean containers. When will Blockchain in the Supply Chain become a reality? Full adoption of blockchain in supply chain will require a strong leader in building a system that is compatible for everyone. Currently, no such system exists and there is still a heavy focus on experimentation, even in the largest logistics organizations. Time will tell when the right model will emerge that will require supply chains to fully adapt to the blockchain model. How does this impact third party logistics companies such as The Shippers Group? When companies such as Walmart and Amazon continue to further adapt and adopt blockchain technology, the rest of the logistics industry will follow, especially those dealing with consumer packaged goods. 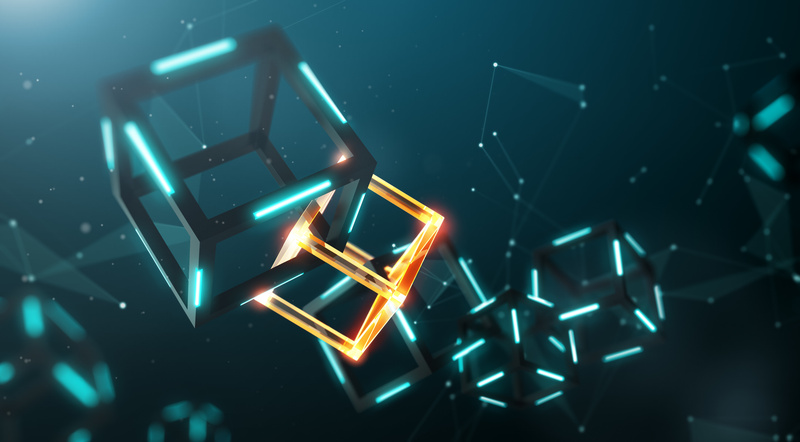 When this happens, suppliers, vendors and logistics partners will need to be prepared to implement blockchain into their processes to ensure future success. Blockchain is progressing in supply chain. It’s an evolution. Are you ready? Learn more insider information in the logistics industry on The Shippers Group Blog.